What could a slave expect from life in Tennessee during the Age of Jackson? Write about some of the harsh realities of slavery. Write a persuasive letter to the editor of a southern newspaper in the 1850s about why slavery is unfair. Write about the cruelties of slavery you have learned during your study of the Slavery section of the tn4me.org web site. Be sure to include characteristics of life that were discussed in class and on the document analysis. 1. Start with a class discussion on slavery. Ask what were some of the harsh measures about slavery? Who were slaves? 2. Have students read the “Slavery” page in the Age of Jackson era on the tn4me.org web site. 4. Have students read the seven slave stories from the “Life as a Slave” page. 5. 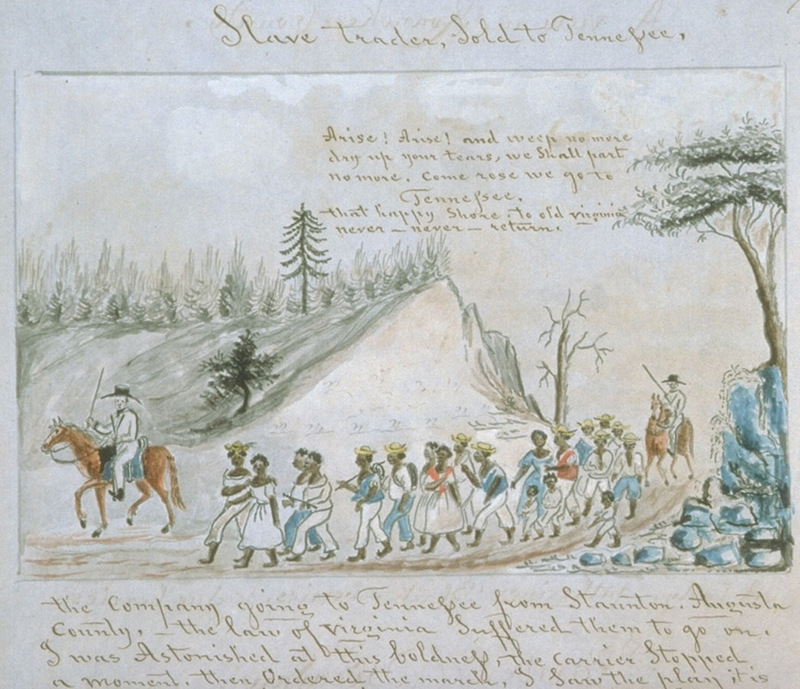 Using the slave stories, hold a class discussion on some characteristics of life as a slave. Complete the graphic organizer with students. 6. 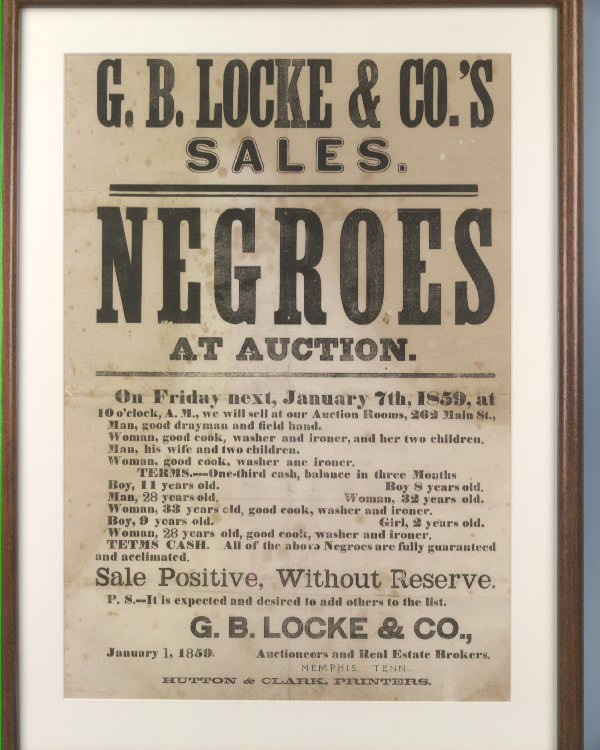 Explain that one of the most feared punishment or characteristics of slavery was being sold away from their homes or families. 8. Distribute copies of the slave auction advertisement and the document analysis worksheets. 9. Groups should work together to analyze the document and answer the questions. 10. Hold a class discussion about this document. What surprised you? What do you want to know more about from this document? 11. Discuss aspects of life as a slave. Was life as a slave always terrible? What qualities of life were they able to carve out? 8.4.tpi.3. use primary and secondary sources to list the rights, responsibilities, and privileges of a citizen living in a democratic society. 8.5.07 Use historical information acquired from a variety of sources to develop criticalsensitivities such as skepticism regarding attitudes, values, and behaviors of people in different historical contexts. Read and analyze a primary source document such as diaries, letters and contracts. 8.5.08 Understand the social, cultural and political events that shaped African slavery in colonial America.